In a final, desperate attempt to gain power for the Technodrome, Krang and Shredder send Bebop and Rocksteady to a lab producing a new type of energy modules. The Turtles find out about it and intercept them before they have a chance to steal anything. April is doing a live broadcast from Fort Charles about some sort of power source there. Krang and Shedder happen to hear her braodcast. Her story pertains to a super-computer called CY-CLOMPS that protects the Fort from any intruders trying to get at the power source. The computer controls all of the robots at the Fort. 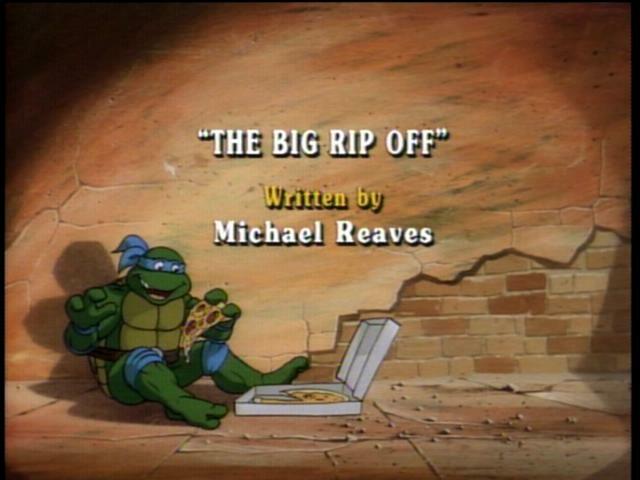 Shredder manages to reprogram the super-computer from the Technodrome and instructs it to imprison April in an air tight vault. The Turtles also hear April’s broadcast and figure that Krang and Shredder will try to go there for the power source. On their way, they get radioed from April about her situation. She is running out of air in the vault! When the Turtles arrive at Fort Charles they have to go up against all the robots that are guarding the Fort. It takes them a while, but they finally reprogram the super-computer and rescue April just in time. Back at the lair, the Turtles discover from the news that Krang and Shredder managed to steal energy modules from another plant while they were busy fighting the robots at Fort Charles. The Turtles now realize that Krang got the power he needed to power up the Technodrome again.